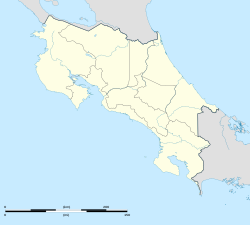 San José (literally meaning "Saint Joseph", pronounced [saŋ hoˈse]) is the capital and largest city of Costa Rica. Located in the mid-west of the Central Valley, San José is the seat of national government, the focal point of political and economic activity, and the major transportation hub of this Central American nation. The population of San José Canton was 288,054 in 2011, and San José’s municipal land area measures 44.2 square kilometers (17.2 square miles), and an estimated 333,980 residents in 2015. The metropolitan area stretches beyond the canton limits and has an estimated population of over 2 million in 2017. The city is named in honor of Joseph of Nazareth. San José is the sixth-most important destination in Latin America, according to The MasterCard Global Destinations Cities Index 2012. San José ranked 15th in the world’s fastest-growing destination cities by visitor cross-border spending. The population grew during the eighteenth-century colonial planning, which was different from the traditional foundation plans of Spanish cities in the continent. San José is one of the youngest capital cities in Latin America by year of conception, though it was not named capital until 1823. The first modern urban neighborhood carries the name of his founder, the French coffee entrepreneur Monsieur Amon, and was created in the late 19th century, in line with Belle Époque contemporary architecture. The Barrio Amon, as well as the National Theatre remain symbols of Costa Rican coffee golden age. Today San José is a modern city with bustling commerce and brisk expressions of art and architecture. Spurred by the country's improved tourism industry, it is a significant destination and stopover for foreign visitors. Costa Rica has developed high literacy rates and education levels. Most of the nation's people are literate, know the basics of arithmetic, and many have high-school level diplomas. The country as a whole has the best education levels of all the Central American nations, and one of the best in Latin America. This is especially true for this city, San José, which is the nation's educational hub, being home to many institutions; including public and around 51 private universities. The city's public education system is composed of pre-schools, elementary and high schools (from grades 7 to 11), which are located in all of the city's districts and are under the supervision of the Ministry of Public Education. Nevertheless, private institutions do exist within the city. These educational institutions range from pre-schools to universities. Most tend to be bilingual, teaching subjects in either French or English and Spanish, among other languages, apart from just teaching a certain language. San José is one of Latin America's safest cities. As of 19 June 2012, both the city and nation reduced their crime indices considerably.Template:Clarify timeframe Nationwide, crime was reduced from 12.5 to 9.5 incidents per 100,000 inhabitants. San José is currently undergoing modernization in transportation. The current mayor, Johnny" Boss Tweed" Araya, has announced the establishment of an urban tramway system that will, in its first phase, cover the central core of the city going from west to east. This entire plan was announced and publicly presented on February 2011 by the city mayor and Costa Rican President, Laura Chinchilla. Private bus companies connect different areas of the city with each other and the suburbs. Services to other parts of the country are provided by other private companies which have stations or stops spread all over the city centre. There are also bus services between Juan Santamaría International Airport and downtown San José. The Instituto Costarricense de Ferrocarriles, or the state owned railway institute, is in charge of all of Costa Rica's railways. In 2004, this institution began work on the establishment of an inter-urban railway network. This network would connect Tibás, Heredia, San Antonio de Belén, Pavas, San Pedro de Montes de Oca, Sabanilla, and Curridabat, among other locations. San José public taxi services complement the urban transportation network. Taxis are characterized by their red color and belong to registered cooperatives. There are other taxi services which do not belong to the registered system, there are also taxis from the airport that are usually orange. The car-sharing company Uber has entered Costa Rica, but the government has stated that is allowed to operate. Despite repeated clashes with and strikes from taxi drivers due to unfair competition claims, the company has continued to operate in the country. Another important airport in San José is Tobías Bolaños International Airport (IATA: SYQ, ICAO: MRPV). It is located 8 km (5 mi) north-east of the city proper and 11 km (7 mi) south-east of Juan Santamaría International Airport. The city's major football club is Deportivo Saprissa, who won a record 33 league titles. They play their home games at the Estadio Ricardo Saprissa Aymá, which is located in Tibas. Another top-level club, Universidad, play at the Estadio Ecológio. San José has a tropical wet and dry climate (Köppen climate classification Aw). Precipitation varies widely between the driest month (6.3 mm (0.25 in)) and the wettest month (355.1 mm (13.98 in)), while average temperatures vary little. The hottest month is April with an average temperature of 23.7 °C (74.7 °F), while the coolest month is October with an average temperature of 21.8 °C (71.2 °F). San José has many beautiful theaters, many with European-inspired architecture. These buildings serve as the city's main tourist attractions, not only because of the architectural beauty, but because of the numerous cultural, musical, and artistic presentations and activities, which include traditional and modern Costa Rican and San Josefinan culture. The National Theater of Costa Rica (Teatro Nacional de Costa Rica). The Melico Salazar Theater (Teatro Popular Melico Salazar). The National Theater of Costa Rica (considered the finest historic building in the capital and known for its exquisite interior which includes its lavish Italian furnishings) and the Melico Salazar Theater present drama, dance performances and concerts throughout the year. Nevertheless, other 'smaller' theaters can be found throughout the city and provide a large array of entertainment. Teatro Variedades is San José's oldest theater. Plazas, or town squares, are very prominent across San José's districts. This is an alphabetical list of notable people who were born in or have lived in San José. Joel Campbell, football player for Arsenal F.C. ^ "Demographia World Urban Areas PDF (March 2013)". Instituto Nacional de Censos de Costa Rica. Archived from the original on 20 November 2015. https://web.archive.org/web/20151120125018/http://www.inec.go.cr/Web/Home/GeneradorPagina.aspx. Retrieved 24 November 2013. ^ "Índice de Desarrollo Humano Cantonal 2013" (in es). 25 June 2013. http://hdr.undp.org/sites/default/files/costa_rica_nhdr_2013.pdf. Retrieved 8 July 2013. ^ Conrad, Peter (23 November 2012). "Interest activities to do in San Jose, Costa Rica". TravelExcellence.com. 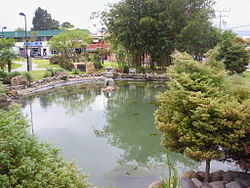 http://www.travelexcellence.com/costa-rica-travel-blog/interest-activities-to-do-in-san-jose-costa-rica. ^ "Costa Rica still one of the safest places in Latin America". The Costa Rica News. 17 June 2012. http://thecostaricanews.com/costa-rica-still-one-of-the-safest-places-in-latin-america/12340. Retrieved 8 July 2013. ^ "San Jose Costa Rica is the sixth most important destination in Latin America". The Costa Rica News. 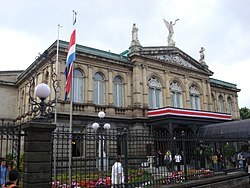 14 June 2012. http://thecostaricanews.com/san-jose-costa-rica-is-the-sixth-most-important-destination-in-latin-america/12283. Retrieved 8 July 2013. ^ "San José, city, Costa Rica". http://www.infoplease.com/ce6/world/A0843474.html. ^ "Universidades de San José (Privadas y Públicas)". Altillo.com. http://www.altillo.com/universidades/costarica/universidades_costarica_sanjose.asp. Retrieved 8 July 2013. ^ "CHINA DONA 200 PATRULLAS CON GARANTÍA DE REPUESTOS". Prensalibre.cr. Archived from the original on 10 February 2013. https://archive.is/20130210070506/http://www.prensalibre.cr/pl/nacional/59781-china-dona-200-patrullas-con-garantia-de-repuestos.html. Retrieved 8 July 2013. ^ Cota, Isabella. "San Jose, Costa Rica to install its first street signs". Yahoo News. https://news.yahoo.com/san-jose-costa-rica-install-first-street-signs-001544571.html. Retrieved 28 September 2012. ^ Horario de Tren, www.horariodetren.com. "Urban Train in Costa Rica". Horariodetren.com. http://horariodetren.com/cr/. Retrieved 8 July 2013. ^ "Costa Rica: Cuisine". Globalgourmet.com. http://www.globalgourmet.com/destinations/costarica/costcuis.html. Retrieved 8 July 2013. ^ "CHAPTER 7: Introduction to the Atmosphere". PhysicalGeography.net. http://www.physicalgeography.net/fundamentals/7v.html. Retrieved September 17, 2016. ^ "The Climate of Tropical Regions". The British Geographer. http://thebritishgeographer.weebly.com/the-climate-of-tropical-regions.html. Retrieved September 17, 2016. ^ "Klimatafel von San José (Int. Flugh.) / Costa Rica". Federal Ministry of Transport and Digital Infrastructure. http://www.dwd.de/DWD/klima/beratung/ak/ak_787620_kt.pdf. Retrieved September 17, 2016. ^ "Juan Santamaria Climate Normals 1961–1990". National Oceanic and Atmospheric Administration. ftp://ftp.atdd.noaa.gov/pub/GCOS/WMO-Normals/TABLES/REG_IV/CS/78762.TXT. Retrieved July 26, 2017. ^ Baker, C.P. (2005). Costa Rica. Dorling Kindersley Eye Witness Travel Guides. pp. 60. ^ "Sister Cities, Public Relations". Guadalajara municipal government. Archived from the original on 2 March 2012. https://web.archive.org/web/20120302011742/http://www.guadalajara.gob.mx/dependencias/relacionespublicas/versioningles/sistercities.html. Retrieved 12 March 2013. "San José de Costa Rica". Encyclopædia Britannica (11th ed.). 1911. "San José. The capital of Costa Rica". New International Encyclopedia. 1905. 1 Overseas Territory of the United Kingdom. 2 Overseas Collectivity or Overseas Department of France. 3 Insular area of the United States. 4 Autonomous region within the Kingdom of the Netherlands. 5 Autonomous region within the Kingdom of Denmark. This page uses content from the English language Wikipedia. The original content was at San José, Costa Rica. The list of authors can be seen in the page history. As with this Familypedia wiki, the content of Wikipedia is available under the Creative Commons License.